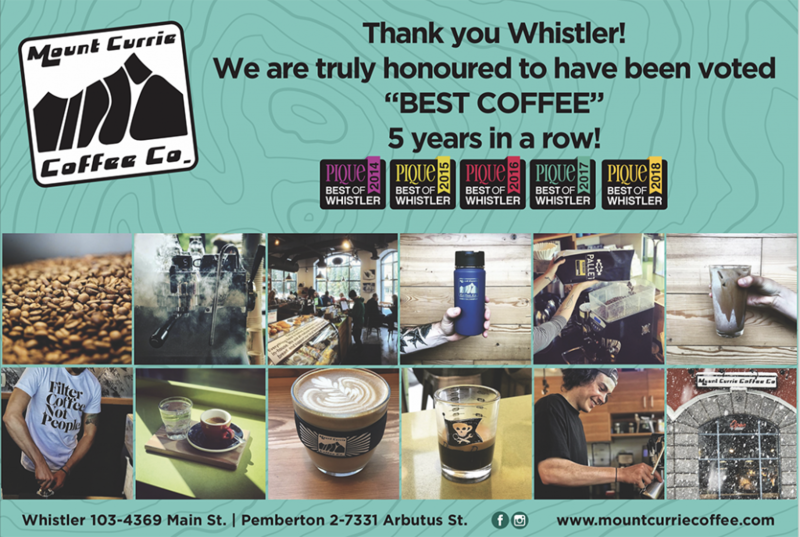 So thrilled to have been voted Best Coffee in Whistler for our 5th year in a row! Thank you everyone for all your support over the years. We are grateful to have such a wonderful crew to create your daily cup of joe and look forward to the years ahead! The future is bright!